View this 2018 video taken at CordenPharma Plankstadt highlighting Glatt's leading technology for highly potent laboratory scale containment pharma solutions. CordenPharma Plankstadt (DE) trusts in Glatt Technology. In technological partnership with Weiss Pharmatechnik, Glatt provides state-of-the-art pharma process solutions combined with top flexible barrier systems for highly potent containment developing services up to OEB 5 Level. On March 14, 2016, CordenPharma was pleased to announce the completion and approval of expanded Development Capabilities (CTD2) for mid-scale (up to 20 kg) contained capacity of highly potent and oncology oral dosage forms in CordenPharma Plankstadt (DE). This new and expanded capability provides customers a complete offering in the contained manufacturing of oral dosage from grams to 150 Kg. CordenPharma Plankstadt GmbH is an expert manufacturer of solid dosage forms with special expertise in formulation of highly potent products, offering a full range of services from pharmaceutical development for phase I-III and commercial scale manufacturing, to packaging and pharma-logistics (CEE-hub) for a global market. 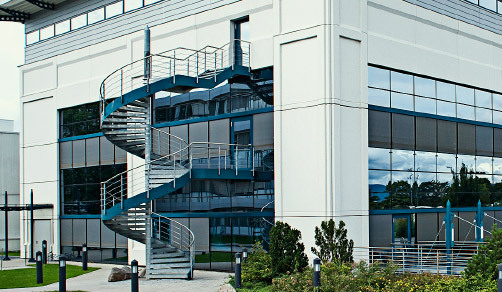 As a former operations site of AstraZeneca, CordenPharma Plankstadt has extensive expertise and capabilities in two facilities for the formulation of solid dosage products, for both non-potent and highly potent drug products, including cytotoxics and hormones with a clearly defined OEL/PDE value. Since its transition to CordenPharma in 2008, CordenPharma Plankstadt has also increased its development capabilities for highly potent drug products, growing its reputation as an expert in the QbD based development of oral solid dosage forms. CordenPharma Plankstadt has two plants available for the manufacturing of highly potent drug products. Highly potent drug products with a clearly defined OEL/PDE value can either be manufactured in a fully contained facility employing primary containment at a batch size of 100 – 150 kg or in a segregated area within the standard facility. In this smaller facility hormones can be manufactured at a batch size of 60-120 kg using secondary containment & PPE.